Between the hype swirling about new “miracle” ingredients and complicated lists that may feel like you need a Ph.D. in chemistry to decipher, it’s hard to know what actually works. How do you decode the lists of anti-wrinkle cream ingredients on products you find at the store? We’re bringing in the Kristals beauty & skincare experts to see what they recommend as the best anti-wrinkle cream ingredients – so you can cut through the clutter and get to the good stuff, whether you’re choosing a cream, moisturizer, or serum. This vitamin A derivative has proven effects to stop wrinkles while boosting collagen and elastin production. Retinol is one of the very best anti-wrinkle cream ingredients you can find. These are specific vitamins like vitamin C, A and E that fight the free radical oxygen molecules that age our skin. Some of them even help stimulate collagen (hello, vitamin C!) and promote the repair of skin cells. 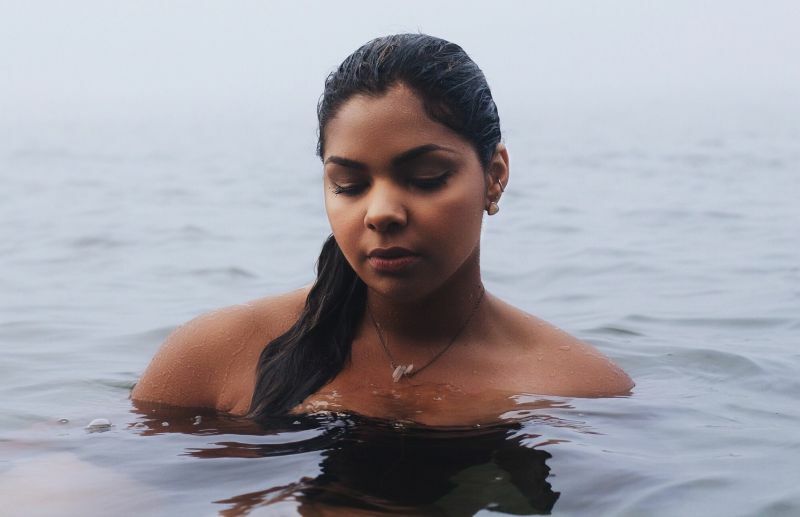 These proteins help bind moisture to promote hydration and seem to have positive effects on improving intercellular communication to help skin cells repair themselves. On labels, you’ll see them referred to by their specific names, like Tetrapeptide-26, Tetrapeptide-7 and oligopeptide. Derived from vitamin B3, niacinamide is great for treating dark spots or discoloration that comes from sun damage or simply the passage of time, in addition to being an anti-aging wonder. It’s also helpful for treating skin inflammation and acne. This is a highly recommend moisturizing agent that dermatologists recommend time and again, since hydrated skin usually looks full and radiant. There you have it: 5 of the best anti-wrinkle cream ingredients so you can make sure your skincare investments are worth it and you can get the results you seek! Turn on some relaxing music. Light a scented candle. Prepare for a long bubble bath. You deserve the best pamper evening. A time you gift yourself, away from all the worries and craziness of your busy life. Here are 4 Kristals Cosmetics pamper evening essentials for the perfect one with gemstones to revitalize your skin from head to toe. What better time to close your eyes and enjoy an eye mask than this? Cleanse your face, and apply the Kristals Anti Gravity Eye Mask under your eyes. Gently massage the emulsion into your skin. As you relax in the tub for 15 minutes, this mask will be working on this very sensitive area of your skin defying gravity and deeply moisturizing thank to the anti aging properties of diamonds. Its pure diamond powder will also promote cell turnover and reduce lines around your eyes. While you’re at it… why not restore the elasticity of your face as well? Use Kristals Diamond Anti-Gravity Spark Mask. Infused with pure diamond and collagen, this mask will not fail to brighten, lift, firm and restore the resilience of your skin. You can leave it on for 15 minutes as well and then peel both masks off together. The next step of your perfect pamper evening would be to exfoliate your legs, knees, arms and elbows with the sumptuous Kristals Cosmetics Rock Crystal Performing Body Polish – available in the scents Free Magic and Love Spells. In addition to rock crystal powder, this luxury body polish is formulated with all-natural sea salt and almond, jojoba and sesame oils to help you remove dead skin cells and moisturize your skin in one single step. Right before you take a quick shower to rinse off the body polish, is the perfect time to apply Kristals Cosmetics Pearl Neck & Chest Extra Firming Mask to your neck and chest. This unique mask combines pearl powder and kaolin clay. Both ingredients are known to restore the balance of your skin in this often overlooked areas. Leave the neck and chest mask on until dry. Then rinse your body to reveal an unbelievably healthy, sensual soft and youthful skin. There’s no question that there are some dubious, questionable and downright strange approaches to skincare and cosmetic routines. For example, celebrities such as Kate Middleton and Gwyneth Paltrow have been known to use products with bee venom in their skincare routine, while Kim Kardashian has done a facial with her own blood. 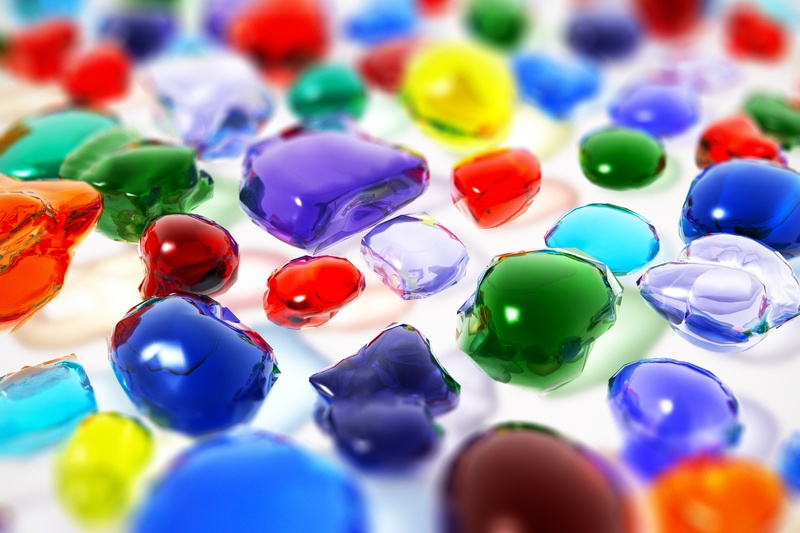 At first glance, gemstones in cosmetics seem to be just another fad along these lines. But as the skincare and beauty researchers at Kristals Cosmetics and other companies began to examine the power of these stones, they began to find real, tangible results for your skin. Here’s how they can help. This semiprecious gemstone in cosmetics seems to draw toxins and other impurities out of the skin, while at the same time boosting the body’s natural antioxidant potential. The end result is a base ingredient for skincare products that helps detoxify, purify and revitalize the skin. This makes amethyst a star gemstone for cosmetics. Read a review of Kristals Cosmetics’ Amethyst Oxygen Instant Energizing Reviving Treatment at the New Spirit Journal here and see our Amethyst Oxygen Instant Energizing Activating Serum featured in FabFitFun! You can also check out the entire Kristals Cosmetics Amethyst product line reviewed in Currently Crushing. This smooth, organically formed gemstone can be ground into a fine powder that has a number of powerful properties when used in cosmetics. In particular, amber appears to have a balancing effect, diminishing the appearance of dark spots and helping with pigmentation issues by evening out the skin tone. The gemstone of the sea also appears to be quite useful when ground into a powder for cosmetics and other skincare products. Pearl has been traditionally known as a powerful stimulator of cell and tissue growth. When it comes to the skin, this occurs in the form of collagen and elastin to promote healthy, youthful-looking skin. This semi-precious gemstone has been used as a healer for thousands of years. In cosmetics, rose quartz seems to have immune-boosting potential, while also promoting healthy cell growth. It’s why Kristals Cosmetics and other companies turn to this powerful gemstone in their cosmetics. For centuries gemstones and crystals have been part of the healing tradition of all kinds of civilizations. For example, the ancient Egyptians protected their dead by burying them with quartz crystals. And the Chinese would often use crystal-tipped acupuncture needles as part of their medical treatments. This smooth, organically occurring gemstone has a natural balancing effect when ground into a powder and added to skincare products. Not only does it give the skin elasticity, but it can also even out your complexion and help with dark spots or other pigmentation issues. 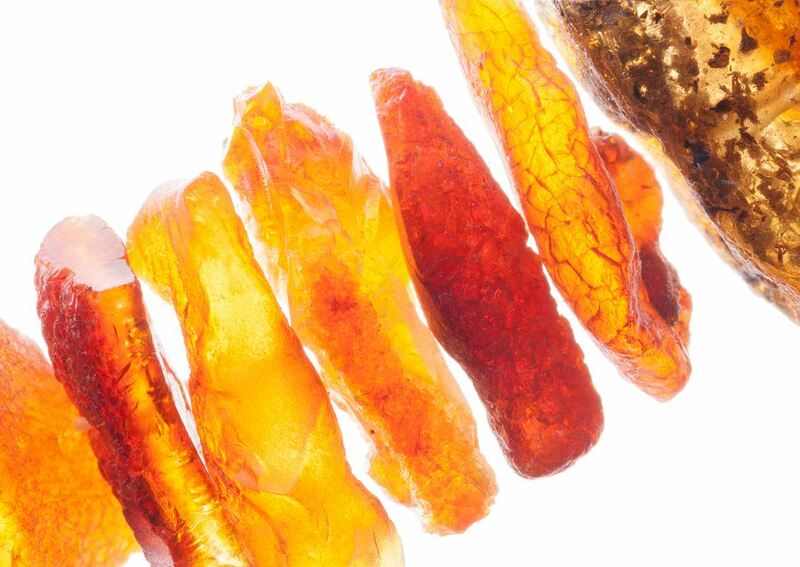 Kristals Cosmetics frequently pairs amber with vitamin C to boost its antioxidant potential. This is true for its Amber Multi-Vitamin C Brightening Serum, its Amber Multi-Vitamin C Hydration Cream and its Amber Multi-Vitamin C Dark Spot Corrector. There’s no question that oxygen can provide a boost of freshness and youth to the skin. 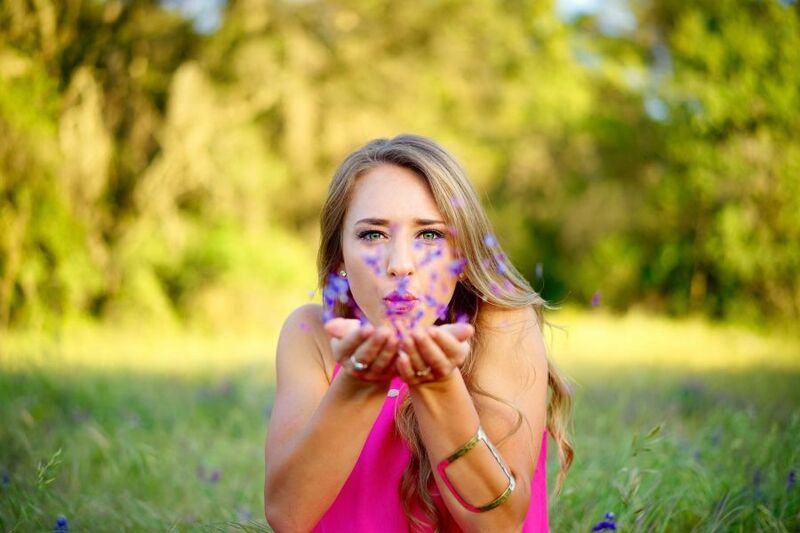 Many people are now turning to oxygen facials to refresh the skin and boost the growth of new cells and collagen. With that in mind, Kristals Cosmetics researchers leveraged the power of amethyst, which traditionally has been used for a number of respiratory ailments, to boost the levels of oxygen to the skin. The result was products like Amethyst Oxygen Instant Energizing Activating Serum. It pairs oxygen-boosting amethyst with ingredients like lactic acid and alpha hydroxy acid to exfoliate and nourish the skin. Science has shown that skin components like collagen and elastin are keys in keeping your skin looking renewed and refreshed. When these skin components start to disappear due to age or neglect, the result can be saggy skin. 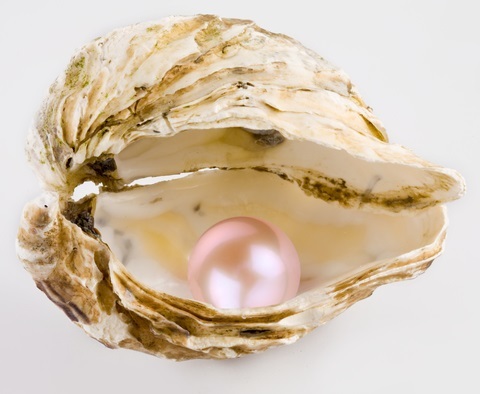 However, pearl is well-known historically for stimulating cell growth and regeneration. And Kristals Cosmetics product formulators examined whether pearl would work in modern formulations and discovered that it’s a superb complement to skincare superstars like hydrotensyl complex that delivers much-needed collagen and elastin to the skin to stop sagging and firm it up in products such as their Pearl Neck & Chest Extra Firming Cream. Read & watch a video review of the PEARL Neck & Chest Extra Firming Cream from Kristals Cosmetics over at TheInsideOutBeauty by Heidi. Sapphire is known as the wisdom stone, and this gemstone traditional brings calm and peace through clarity. Kristals Cosmetics enhances its healing power with added ingredients such as retinol in its Sapphire Retinol Age Correcting Cream. Gemstones for healing are a hot ingredient in skincare products right now. And, when paired with other helpful ingredients like peptides, pro-vitamin B5, vitamin C and niacinamide, they can make a real difference in the look and feel of your skin. That’s why the skincare and beauty researchers at Kristals Cosmetics have been mixing gems like diamonds, amethysts, rose quartz and others into their cosmetic formulations. But there’s a secondary benefit to gemstones that goes beyond skin deep. And that’s their ability to promote healing. Here are five gemstones you’ll want to check out for their unique healing properties. As the hardest of the gemstones, it’s not surprising that diamonds can exude a feeling of power. This makes them a great ingredient for both exfoliating and strengthening the skin. But beyond that, the feeling of strength and dominance created by diamonds can bring power to other parts of the body, as well, such as the nails and eyes. Read a review of the Kristals Cosmetics diamond products line at Jess Oshii here. And for under your eyes, Kristals Cosmetics has a product that brings quick results: our Diamond Select Anti-Gravity Spark Eye Mask, which Glossybox is featuring in its December 2016 box. 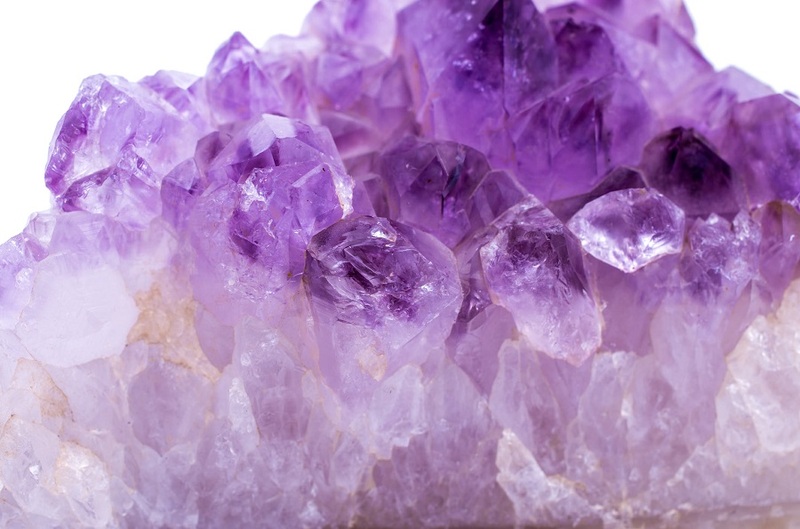 Another common gemstone in skincare, amethyst has a healing reputation as a positive gem. It can help to tamp down negative emotions and help you feel your best each day. The healing power of pearls are so intriguing that it’s starting to be used as a nutritional supplement in addition to a skincare ingredient. It strengthens the blood and helps to build healthy cells and bones. If you need a pick-me-up in your self esteem, then a product with rose quartz in it might be the ticket. The mineral has a nurturing, warm energy that can help you love yourself and feel worthy of the love of others. Like its cold, calculating color, sapphire might be the gemstone to try if you need to focus in on the task at hand. The stone promotes intelligence and clear thinking.